Alina Starkov doesn't expect much from life. Orphaned by the Border Wars, the one thing she could rely on was her best friend and fellow refugee, Mal. And lately not even that seems certain. Drafted into the army of their war-torn homeland, they're sent on a dangerous mission into the Fold, a swath of unnatural darkness crawling with monsters who feast on human flesh. 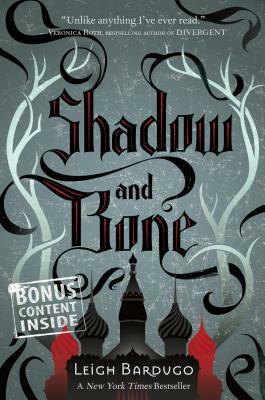 Swept up in a world of luxury and illusion, envied as the Darkling's favorite, Alina struggles to fit into her new life without Mal by her side. But as the threat to the kingdom mounts, Alina uncovers a secret that sets her on a collision course with the most powerful forces in the kingdom. Now only her past can save her . . . and only she can save the future. I think this book would be more accurately classified as Middle Grade rather than Young Adult. Once I changed my reading level expectation, I really enjoyed the book. I would certainly recommend it to tweens and young teenagers and anyone who enjoys books at that level. Anyone expecting a more sophisticated YA read would probably be somewhat disappointed as this book offers zero sexual tension and very little true suspense. That being said, the author has developed a unique fantasy world and interesting main characters. I will certainly read the rest of the trilogy.